This is the occurrence of generalized tonic-clonic seizures in a pregnant patient with proteinuric hypertension. Most seizures occur prior to delivery although 40% of women will fit within 24 h of delivery. Eclampsia may be preceded by prodromal symptoms of headache and visual disturbances (blurred vision, photopsia, scotomata and diplopia) (Duncan et al., 1989). The blood pressure at the time of seizure activity varies from levels that are mildly elevated or even normal although they more commonly have moderate to severe hypertension (Lindheimer, 1996). Seizure activity is, however, associated with a sharp increase in blood pressure and decreased peripheral oxygen saturation levels. 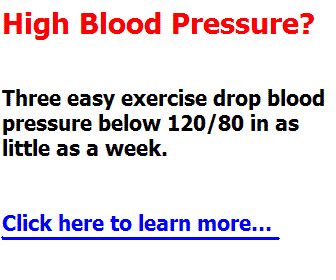 This is important because severe hypertension has been linked to the risk of cerebrovascular hemorrhage. The differential diagnosis of seizure activity in pregnancy is extensive and includes epilepsy, systemic lupus erythematosus, acute fatty liver of pregnancy (hepatic encephalopathy), thrombotic thrombocytopenic purpura, amniotic fluid embo-lus, cerebral venous thrombosis, herpes encephalitis, malaria and cocaine intoxication (Clark et al., 1995; Hauser and Kurland, 1975; Towers et al., 1993). Late postpartum eclampsia (seizures first developing between 48 h and 4 weeks after delivery) require neuroradiological investigation to exclude alternative diagnoses (Douglas and Redman, 1994; Lubarsky etal., 1994; Tetzschner andFelding, 1994). The critical care management of pre-eclampsia is centered on the prevention of recurrent seizures, control of the airway to prevent aspiration pneumonia, control of severe hypertension, management of other organ failure and termination of the pregnancy. Ongoing seizure activity should be treated with initial attention to airway management and standard emergency procedures. Magnesium sulfate is used as the agent of first choice in the USA to terminate eclampsia, while in other parts of the world intravenous benzodiazepines such as diaze-pam or clonazepam may be used as the first-line drug in an actively seizing patient. Once initial seizure activity has been controlled, attention should be paid to preventing recurrent seizures; magnesium sulfate is the drug of choice for this indication. Randomized evidence clearly demonstrates a significantly lower risk of recurrent seizures when magnesium sulfate is compared to phenytoin and fixed-dose benzodiazepines used for the same indication (Coetzee et al., 1995; Collaborative Eclampsia Trial, 1995). Magnesium sulfate is a weak calcium channel blocker that regulates intracellular calcium flux through the N-methyl-D-aspartate receptor in neuronal tissue and may inhibit ischemic neuronal damage brought about by anion flux through this receptor (Altura and Altura, 1984). Parenterally administered magnesium results in systemic vasodilatation and improved cardiac output as well as cerebral vasodilatation distal to the middle cerebral artery. Retinal artery vasospasm has been reversed by magnesium sulfate infusion (Belfort, 1992; Belfort and Moise, 1992; Belfort et al., 1992). The myocardial effects of parenteral magnesium include slowing of the cardiac conduction times, and in high doses magnesium is significantly negatively inotropic (Arsenian, 1993). Intravenous magnesium sulfate reduces serum calcium levels possibly as a result of increased renal magnesium and calcium excretion (Arsenian, 1993). Falling serum calcium levels inhibits acetylcholine release at the motor endplate, the extent of which is directly related to the level of the serum magnesium and inversely proportional to the calcium concentration. This is the origin of magnesium sulfate toxicity leading to neuromuscular blockade and respiratory arrest (Cruikshank et al., 1993; Ramanathan et al., 1998; Richards et al., 1985). Dosage regimens vary but the majority of women in the Collaborative Eclampsia Trial were treated with a 4 g intravenous loading dose followed by a constant infusion of 1gh_1. Magnesium sulfate is excreted by the kidney and impaired renal function may lead to toxicity, manifest as weakness, absent tendon reflexes and respiratory arrest. Patients with undiagnosed myasthenia gravis may have their disease unmasked by magnesium sulfate, even when the drug only reaches normal therapeutic levels (Bashuk and Krendel, 1990). Patients who experience recurrent seizures in spite of magnesium sulfate are best managed by intubation and ventilation. Sedation using continuous high dose benzodiazepine or thiopental infusions will be necessary and will serve to prevent further convulsions. Following multiple seizures, these women are likely to have cerebral edema with raised intracranial pressure. Consequently care should be taken to maintain a mean arterial pressure in excess of 100 mmHg in order to preserve cerebral blood flow (Richards et al., 1986). Patients who have their first convulsion after attaining therapeutic blood levels of magnesium sulfate, who continue to convulse after starting magnesium sulfate, who have lateralizing signs, who remain unconscious or have mental confusion after a seizure, have cortical blindness or who have a seizure postpartum should probably have some form of cerebral imaging such as an MRI/MRA or CT scan to exclude intracranial pathology. Clearing the airway is an important first-aid measure in any convulsing patient. This is most simply attained by suctioning and positioning the patient head-down, on her side. Endotracheal intubation is indicated in women with recurrent seizures, those who are inadequately oxygenated, and in circumstances where the patient remains persistently obtunded more than 30 min after the seizure. Ventilatory care should be maintained for a minimum of 24 h postpartum or until the patient is fully conscious and any upper airway edema has resolved. Vaginal delivery, if foreseeable within a short period, may be contemplated in the woman with no complicating features other than a single seizure. Induction of labor should not be protracted and an arbitrary time limit should be set as a goal for attaining a vaginal delivery. Cesarean delivery, when considered necessary, should follow after the mother has been stabilized (after the blood pressure has been controlled and seizure prophylaxis commenced). In cases of severe pre-eclampsia, the prevention of seizure activity is essential even though the incidence of seizure activity may be as low as 3-4%. Recent epidemiological evidence suggests that the drug of choice remains magnesium sulfate, although other drugs such as labetalol that lower the cerebral perfusion pressure are also under investigation.